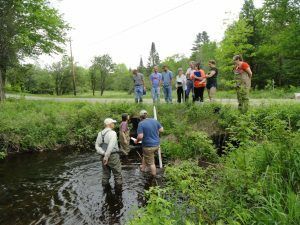 The Center for the Environment has begun working on the 2019 New Hampshire Water and Watershed Conference (NHWWC). This is an annual forum for sharing water resource information. Each year, over 175 academics, regulators, non-profit organizations, water resource professionals, land use planners, elected officials, and others gather to share information on regional water resource issues including water quality and supply. The 2019 NH Water and Watershed Conference will be held on March 15, 2019 at Plymouth State University. We are currently working on developing the agenda for the event. We plan on a plenary speaker, approximately 30 talks organized into sessions, posters, and a panel discussion. If you are interested in presenting, please submit an abstract. Registration will open in late January or early February 2019.